$17.96 billion advertisement revenues travelled through the worlds’ Mobile Networks in 2013; a figure that is forecasted to grow to $98 billion by 2018. In 2013 this created a cost for Mobile Network Operators and $18b revenue for Internet Publishers, OTT players and Ad networks. This market is driven by Data, with in excess of 50% of advertising revenue now spent on acquiring data. 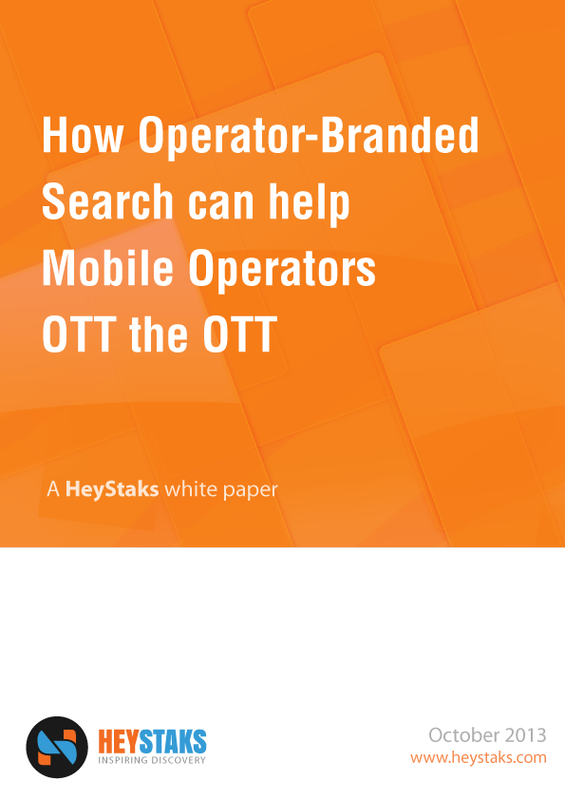 However, Mobile Operators do not participate in this revenue, even though they have access to more data on the interests and behaviours of Internet users than OTT players and other ad revenue generators. The HeyStaks platform creates an advertisement Data Asset for the MNO and provides the interfaces to allow the MNO monetize this asset in 3rd party ad networks, including that of our partner, Smartpipe. This document introduces the HeyStaks & Smartpipe solution and describes how this solution will earn €3.2m sustainable Quarterly revenue for a 3m subscriber MNO. The factors that influence this revenue, including the parameters and usage numbers used in this revenue simulation are explained to allow you translate to your own context. This document sets out the dominant factors in this market and strategies followed by the companies who share in this revenue today. It also explains why Mobile Network Operators (MNO) are uniquely positioned to participate in this market and explains how a currently dormant MNO asset can enable access to recurring advertisement revenue for the MNO. Voice and SMS revenues of Mobile Operators are in steady decline and OTT players dominate the emerging $340billion-valued Mobile VAS market. What does this mean for Mobile Operators? What opportunities does Mobile VAS offer for new Mobile Operator revenues? What are the challenges and risks? And what are the options for Mobile Operators to once-again engage mobile data users and establish a differentiation in the new internet?